Monarch Air Group provides private air charter in Norman, OK. Our clients benefit from top-notch service, unrelenting dedication to safety, wide selection of aircraft, and years of experience in chartering private jets. To obtain a free quote, please use our online quoting tool provided below, or call toll free 1-877-281-3051. Monarch Air Group provides private jet charter flights in and out of Norman, Oklahoma, USA. Norman is a city in central Oklahoma, south of Oklahoma City. With a population of about 110 925 people, Norman is the 3rd-largest city in Oklahoma and the 235th-largest city in the USA. The city of Norman serves also as the county seat of Cleveland County. 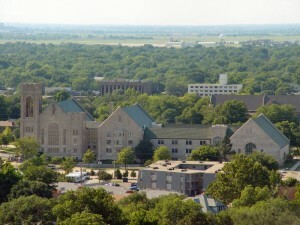 There is the University of Oklahoma, state’s largest university with about 30,000 students. In 2008 Norman was ranked by CNN/Money Magazine as the 6th best small city within the US to live in. The most popular tourist attractions are Sam Noble Oklahoma Museum of Natural History, Fred Jones Jr. Museum of Art, Griffin Community Park Sports Complex, and some others. The nearest airport is Will Rogers World Airport (OKC / KOKC), which is located 23 miles from Norman. 1. ADM, Ardmore Municipal Arpt, Ardmore, United States. 2. ADT, Ada, Ada, United States. 3. CHK, Municipal, Chickasha, United States. 4. CUH, Municipal, Cushing, United States. 5. DUC, Halliburton Field, Duncan, United States. 6. DWN, Downtown Airpark, Oklahoma City, United States. 7. FSI, Henry Post AAF, Fort Sill, United States. 8. GOK, Guthrie, Guthrie, United States. 9. OKC, Will Rogers World Airport, Oklahoma City, United States. 10. OUN, Max Westheimer, Norman, United States. 11. PWA, Wiley Post, Oklahoma City, United States. 12. SNL, Municipal, Shawnee, United States. 13. SUD, Stroud, Stroud, United States. 14. SWO, Searcy Fld, Stillwater, United States. 15. TIK, Tinker AFB, Oklahoma City, United States. 1. Embassy Suites Norman – Hotel & Conference Center, 2501 Conference Drive, Norman. 2. Embassy Suites Norman – Hotel & Conference Center, 2501 Conference Drive, Norman. 3. Sooner Legends Inn & Suites, 1200 24th Avenue Southwest, Norman. 4. Best Western Norman Inn & Suites, 2841 Classen Boulevard, Norman. 5. NCED Conference Center, 2801 Oklahoma 9, Norman. 6. Embassy Suites Norman – Hotel & Conference Center, 2501 Conference Drive, Norman. 7. Sooner Legends Inn & Suites, 1200 24th Avenue Southwest, Norman. 8. Best Western Norman Inn & Suites, 2841 Classen Boulevard, Norman. 9. NCED Conference Center, 2801 Oklahoma 9, Norman.